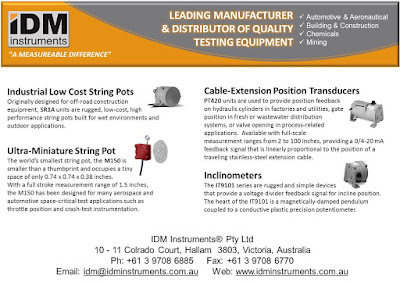 At a time when “value for money” is key for global customers, can you afford not to use IDM Instruments? Coefficient of Friction describes the force of two materials which are pressed and/or rubbed against each other. IDM’s model C0008 Coefficient of Friction (COF) Tester has been manufactured to determine the static & kinetic friction of a range of materials including coatings, composites, flexible packaging, foils, linoleum, metal, paper, rubber and more. Surfaces that are pressed together without movement are tested to determine a value of “static friction” where the same surfaces which are pressed together in movement is determined as a value of “kinetic friction”. Coefficient of static friction usually results in a larger value than that of coefficient of kinetic values. Optional COF software provides stastistical analysis, test identification, adjustable data collection limits and many other features. With 0.3% of full scale accuracy, real time readings in either kg, lb or N and variable speed selection, IDM’s COF Tester has earned its worldwide reputation as the most robust, reliable and user friendly model in todays market. HOW STIFF IS YOUR BOARD?